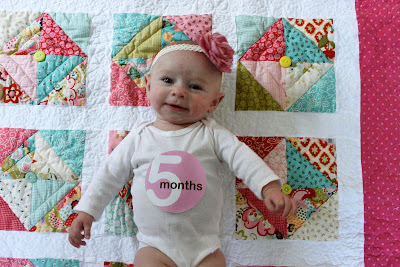 Oh my goodness, I cannot believe how much she has grown already! My youngest actually started kindergarten back in August and that was a huge change for me to get used to! Love the progression photos! How cute are those outfits?! Such a sweet happy baby! Love the progression of photos. she is so adorable! i love this idea & that you were able to execute it each month! She is a little lady! 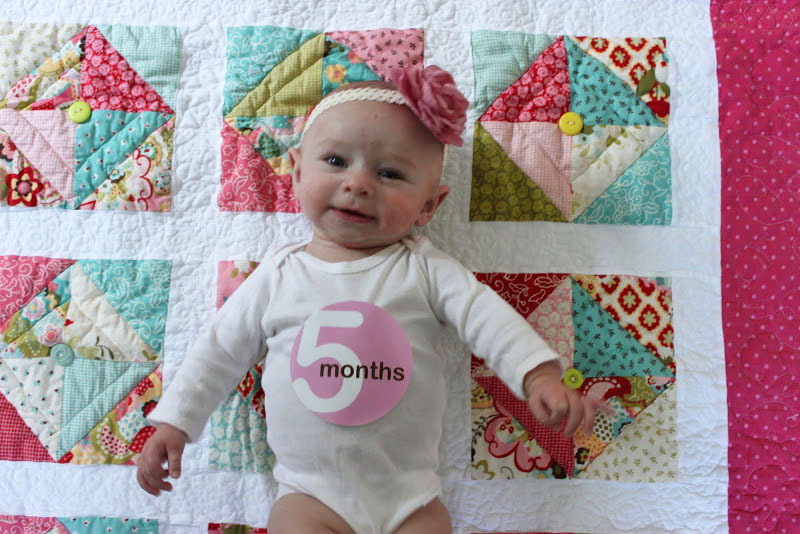 And I LOVE that quilt - it's adorbs. Oh! She is adorable! Isn't it amazing how much they change in a year?? ?